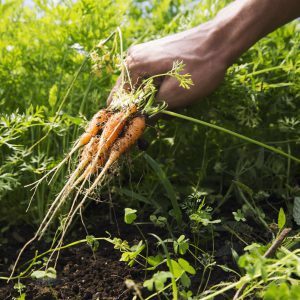 Our onsite garden organically produces most foods needed for a complete nutritious diet, such as kale, broccoli, arugula, radish, celery, lettuce, green pepper, tomato, oregano, basil, tarragon, parsley, coriander, aloe, and lavender, sunflower seeds, and many more! In order to maximize natural growth benefits we use the Biointensive method, which consists of growing many plants in a reduced amount of space creating an environment that naturally protects plants from pests and moisture and nutrient loss. We offer complimentary tours daily, and we welcome guests to take a self guided stroll through our garden and see first hand what goes on your plate! The majority of produce from our organic garden used in our restaurant is grown locally on the Belmar family farm, known as Madre Tierra. Here we harvest our own shade grown coffee beans, produce different tyes of fresh artisan cheese, and collect eggs from free-range hens. We cultivate all seasonal ingredients, such as avocado, guava, rose apples, yucca flowers, and mozote, as well as regional fruits and vegetables including malanga, tiquisque, bananas, and plantains. To ensure that all of our dishes are prepared with fresh and healthy ingredients, all crops are grown harmoniously and according to season. Additionally, we use only organic fertilizer and we do not take part in the industrial practice of monoculture, nor the use of harmful pesticides. Madre Tierra is located 20 minutes away from the hotel. 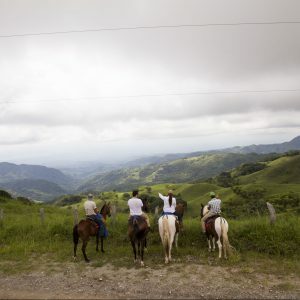 Inquire about our integrated horseback tours of the property.